I shoot faster when I slow down. Brussels sprouts make great targets. Your worst day at the range is still better than your best day at the office. Unless you work at the range. Then you are just lucky, and I hate you. 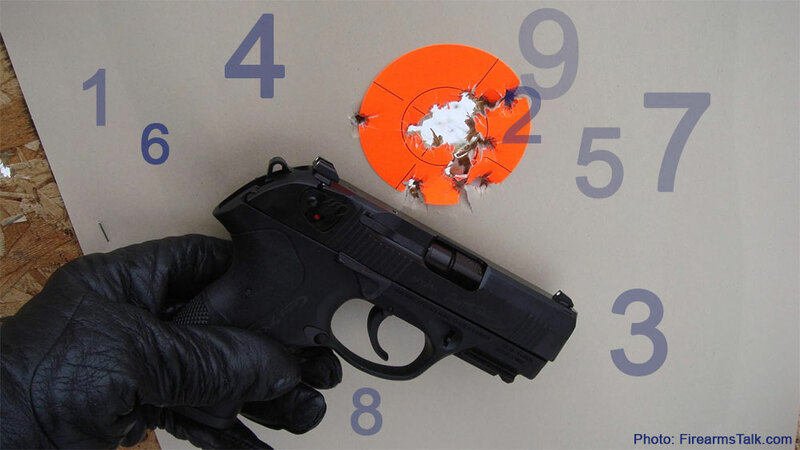 When you leave the range, nobody will remember how accurate you were, or how fast you were. Everyone will remember how safe you were. Shooting is universal. Lots of folks do it; lots of folks want to do it. You may be surprised at who you meet at the range. You may be surprised at who is waiting for you to take them to the range. Real shooters know guns. Hollywood doesnt. Learn from the former. Dont leave the gun shop empty handed. Safety doesnt take a backseat to experience. My Beretta will function in rain, snow, sub zero, or triple digit temperatures. I may not. They are called sights for a reason. See them. Empty brass is more valuable than gold. You can never have enough magazines. Sooner or later you will have a box full of holsters that you dont wear, or dont have guns for anymore. People will buy a gun simply because it looks cool. The gun you bought today will be on sale next weekend. The only thing you should take seriously at the range is safety. Everything else is just fun. 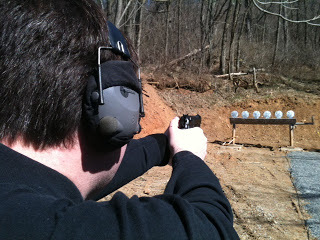 The day I stopped worrying about scores is the day I became a better shooter. There is no such thing as a double tap. Pay attention to the sights with every shot. Dry fire until your fingers bleed. Get bandages and start again. Someday when you are working on your favorite gun, that little spring will fly across the room into oblivion. You will buy parts for guns that you dont own. Sometimes steel plates will stay standing after a hit. Just because they hate you. My shooting buddies are not really friends. They are family. Shooting soda cans is more fun when they are full. And shaken. There will always be one clay bird that refuses to break. Dont let it win. Go find it. Then step on it. Practice the things that you dont like to do. Chances are you need it. Introduce someone new to the firearms hobby. Every chance you get. If you wear a tank top at the range, you will inevitably get burned. In places you don't want to be burned. It doesnt matter what gun you shoot, somebody will make fun it. Practice. Do it a lot. Do it often. Do it safely. A guy loves to watch a girl shoot. Unless the girl is a better shooter than he is. Spend less time talking about shooting, and more time doing it.